CDB (Centrifugal Disc Bail) Okuma's Centrifugal Disc Bail(CDB) is a unique new design that incorporates a heavier brass disc that is perfectly weighted and balanced to create a smoother and easier bail operation, while increasing the strength and stability of the overall bail function. Progressive Drag 1-K woven carbon fibre drag knob which reduces weight and creates a more progressive drag setting. C-40X Carbon Fibre Technology Okuma’s new C-40X long strand carbon fibre technology utilizes a specially blended graphite polymer. The carbon fibres in this material are elongated and reinforced, creating a substantially stronger composite than standard graphite material. At 25% lighter, 1.5 times stronger and 100% anti-corrosive. C-40X translates into an extremely lightweight and durable construction. CFR (Cyclonic Flow Rotor) Cyclonic Flow Rotor (CFR) was designed to create “cyclonic” airflow, which significantly increases air flow through the ported rotor. 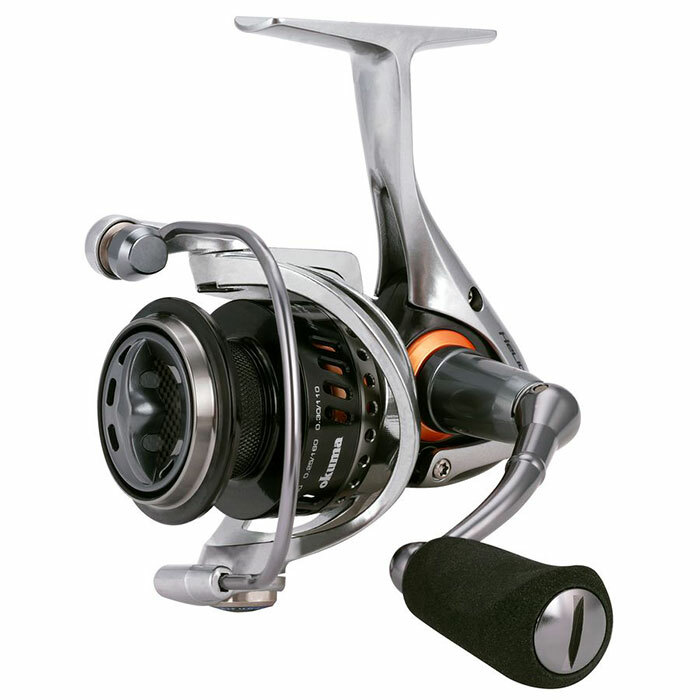 TCA (Torsion Control Armor) The one piece Torsion Control Armor (TCA) design made with Okuma long strand carbon fibre found on the new Inspira spinning reel is made with a double arm design which offers high torsion and flex resistance under heavy pressure for static strength. 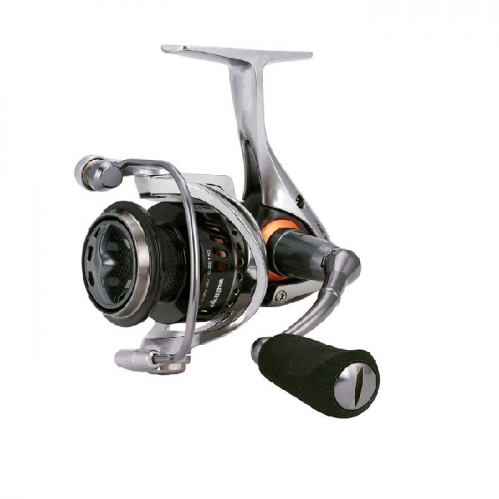 This not only makes the reel lighter but also makes the reel extremely rigid which reduces twist and torque and keeps the internal parts in perfect alignment.